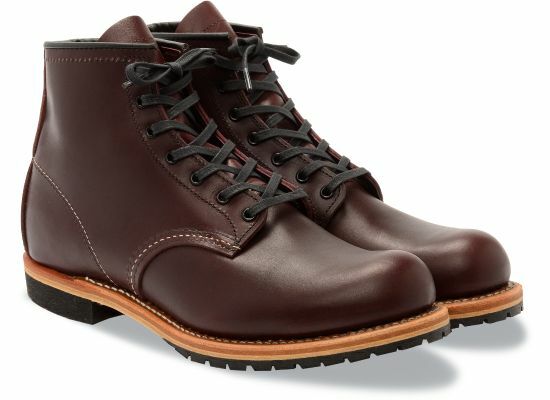 At the moment, Sierra Trading Post has a nice stock of Red Wing factory seconds – a term for shoes that didn’t make it past quality controls. The defects are usually superficial (and for something as rugged as work boots, barely worth mentioning). That said, if you get a pair, you’ll want to scan them over before deciding to keep. There are two important models with a full range of sizes. The first is the plain toe Beckman, which is a simple work boot that’ll go with everything from peacoats and field jackets to even more directional lines such as Engineered Garments. Get one in dark cherry brown if you want something versatile. The second are the 11″ Pecos, which is the company’s roper boot offering. The shaft is a little wider than what you may find from some fashion lines, but it still fits comfortably underneath most slim-straight jeans. And while the style is obviously a lot more cowboy-ish, I’ve always admired how Eric Kvatek wears his with trucker jackets. Note, Sierra Trading Post is also free shipping today with the checkout code FREESHIP. You can keep up with their promotions through their Facebook page. Sizing on Red Wings can also be a little tricky. Many people size down half a size on both models, but you may want to Google around for more specific sizing advice.